The penultimate day saw Ulster gain momentum in the tournament with a vital 1-0 win over Munster while Leinster made it two wins from two with a comfortable 3-1 assault of reigning Champions Connacht. 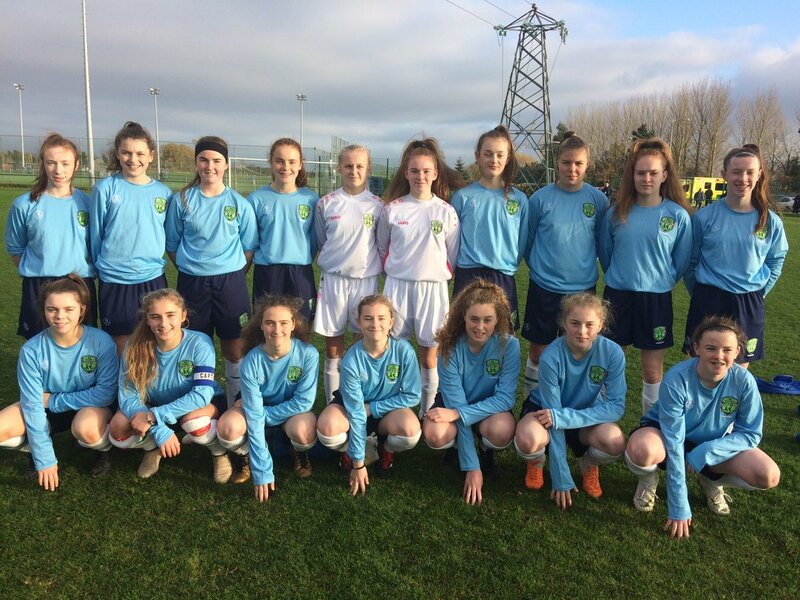 Carndonagh’s Ellie Long set up Deele College starlet Lucy CANNING for a stunning goal to ensure a slight advantage for the Northern side with a quarter of an hour played. This proved decisive as neither side created clear cut chances in a cagey affair despite the best efforts of the Munster youngsters late on. Under 15 Schools International Ellen Molloy had a dominating presence on the park this afternoon in the second test. She was causing all sorts of problems for the Connacht midfield. 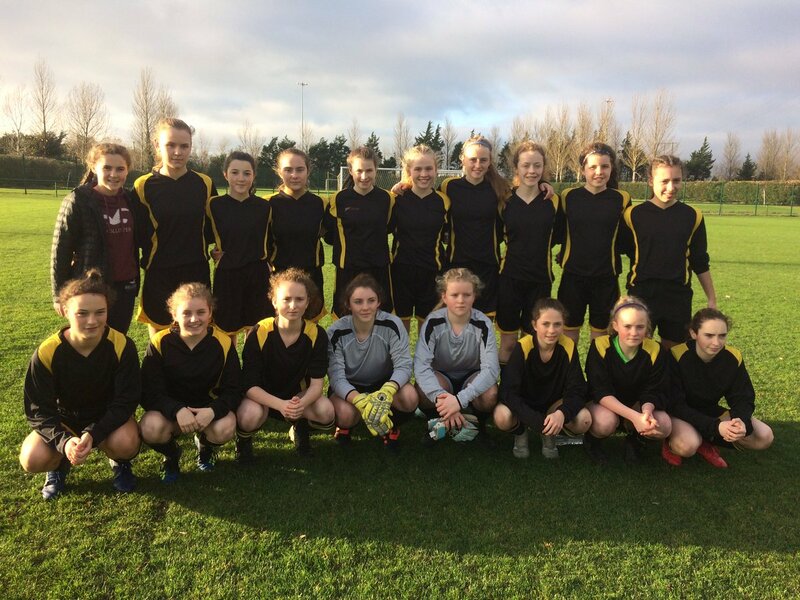 The Presentation Kilkenny jewel created the first goal of the day when she dispatched a smashing ball to St. Finian’s CC student Zoe GARGAN for their first of the day and they lead 1-0 at the interval. 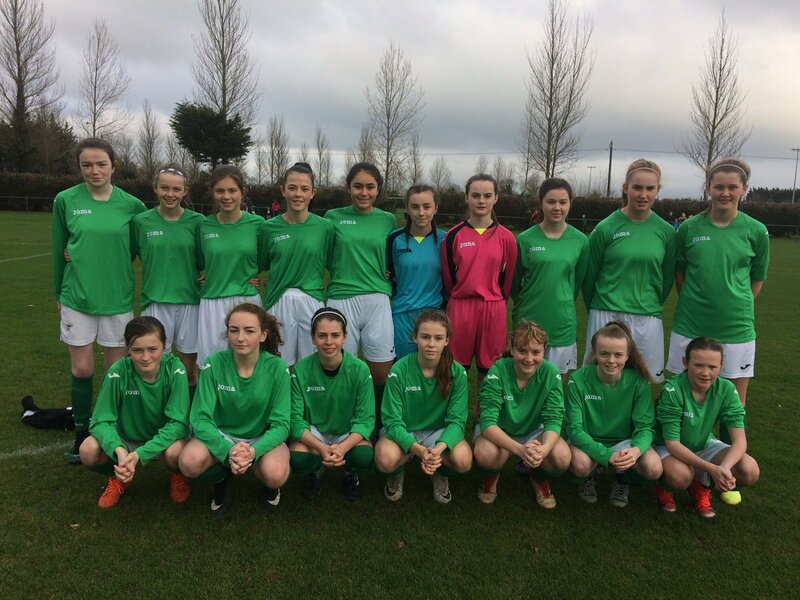 Their lead was doubled midway through the second half when Emma WALKER’S (St. Leo College) effort was deflected off a defender and into the Connacht net. MOLLOY ensured full points for her side when she got on the scoresheet herself with some skillful dinking and a sweet strike off her left peg to bet the keeper for 3-0. 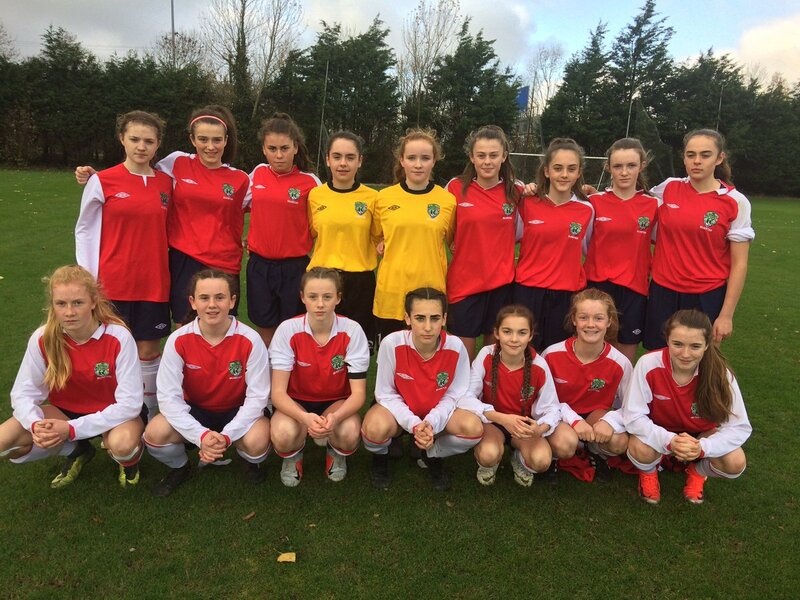 A consolation goal for Connacht came two minutes from time as St. Attracta’s CS student Jessica CASEY tapped home from the near post to finish 3-1. The resulting programme of events see Munster and Ulster still in the race with one win apiece while Leinster maintain a powerful foothold in proceedings. Leinster look the more likely to capture the crown for 2018 as a draw against Munster would be enough to see Rob Ellison’s side clinch victory. However their counterparts will ensure a close battle ensues for top spot tomorrow morning. Connacht will want to restore some pride as two disappointing defeats don’t reflect their performances over the weekend’s action. The title holders will hope to finish on a high when they take to the field at 10am. Bridgeen Harley’s troops are gaining confidence as the tournament progresses. The Ulster contingency will look to challenge for the trophy and hope Munster do them a favour in the final game tomorrow which is scheduled to kick off at 11.30am. 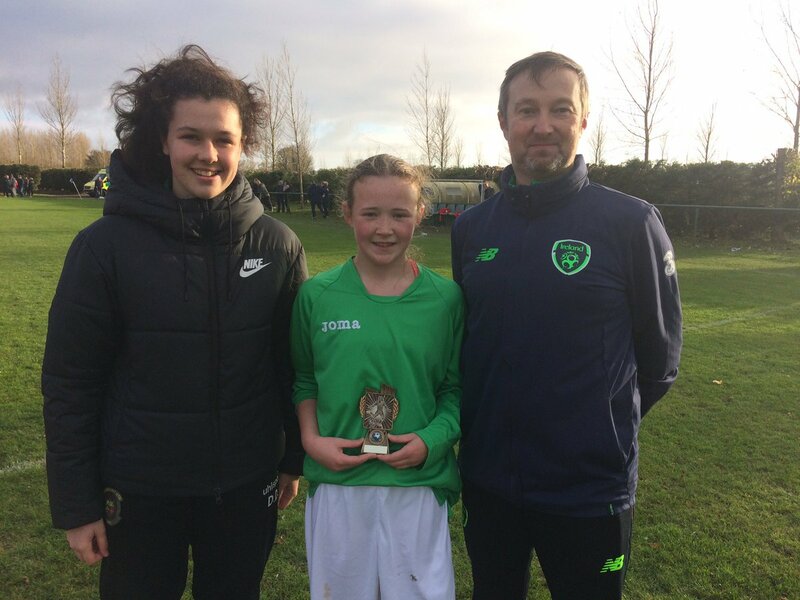 Tournament Ambassador, Della DOHERTY (Coláiste Íosagáin) was on hand to present the Player of the Match accolades to our future starlets. 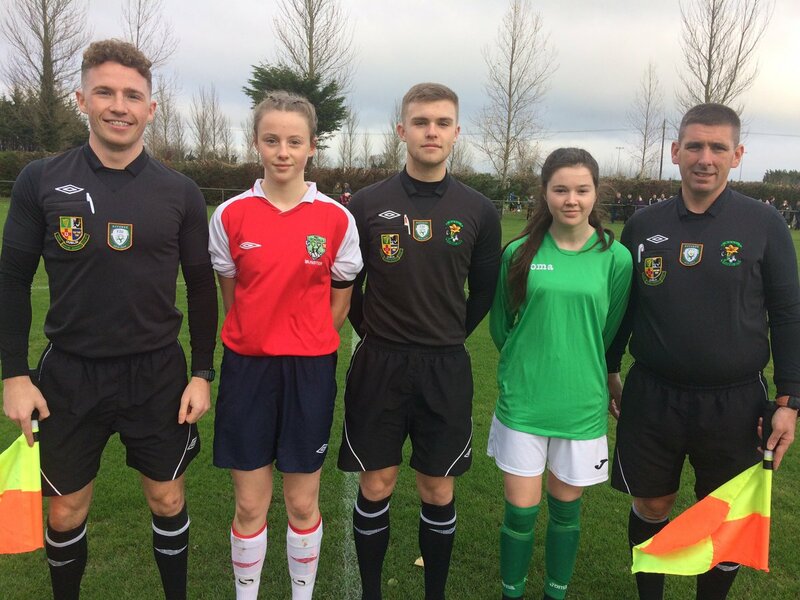 The Portarlington scholar captained Leinster last season in this series and scored a whooper of a goal to win the game for her Province against Ulster on match day two. 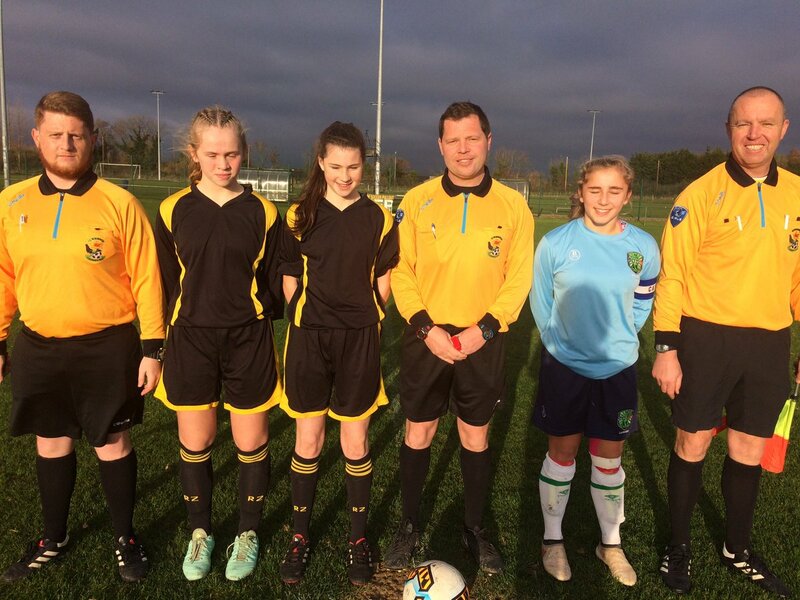 She went on to capture the Bob Docherty Cup last Easter, again as Captain of the Schools International select. 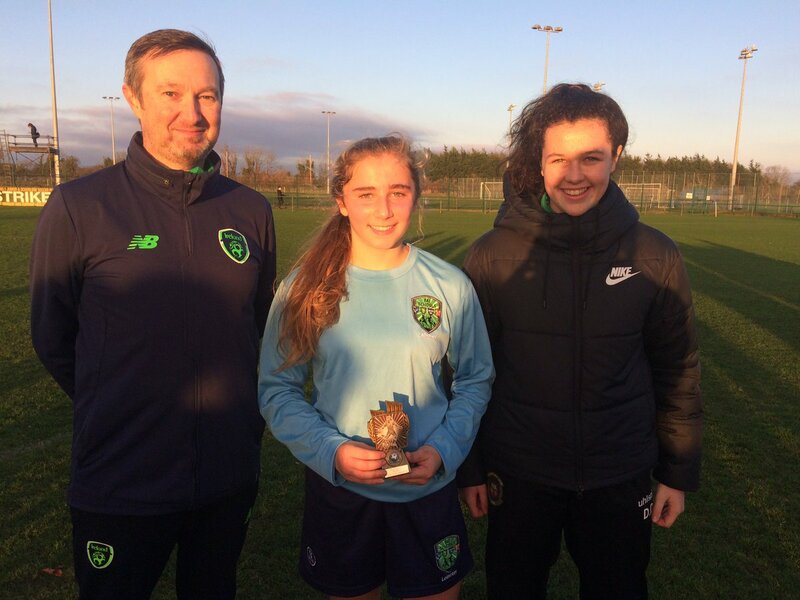 Della named Carndonagh Community School youngster Ellie LONG as her POTM following a splendid display for her team. While in the second outing, Doherty had no option but to name Ellen MOLLOY as POTM after a dominate exhibition from the Kilkenny genius.